Allows for easy sealing operations, regardless of location, with its compact size. 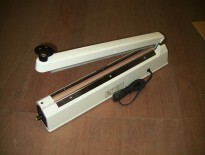 Available in an assortment of models for different applications (i.e. industrial, commercial, agricultural, household, scientific, medical, food, pharmaceutical and so forth). 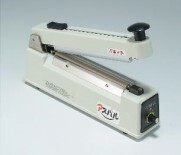 Sealer HC series feature a cutterat the handle to remove the unwanted sections of the bag. 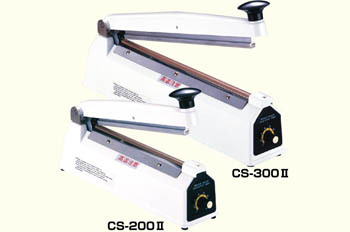 ☆Desktop Sealers(CS-200Ⅱ，CS-300Ⅱ，CS-400，CS-500)can be modified to hot melt models. Complete with elongated sealer at customized dimensions. 2.5kg compact　Standard Spec Model. 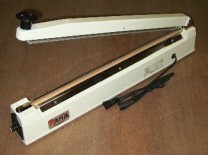 Presenting a CS Sealer that supports 5mm width seal opening! Elongated version for compatibility with bags of varying lengths. The longest model in the CS; suitable for industrial applications. 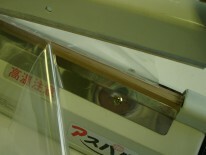 Allows users to trim off any unwanted section of the bag with the cutter at the handle; the removed section can be processed into a tube of thin film. 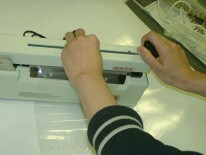 Allows users to trim off unwanted section of the bag with the cutter at the handle; the removed section can be processed into a tube of thin film. 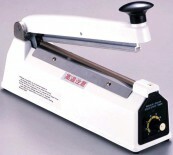 Model No: 200Ⅱ/300Ⅱ/400/500 – all models can be modified to hot melt models. 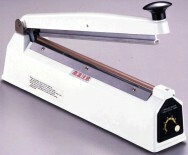 CS-HC model sealers allow users to trim off any unwanted section of the bag with the cutter at the handle; the removed section can be processed (rolled?) into a tube of thin film.